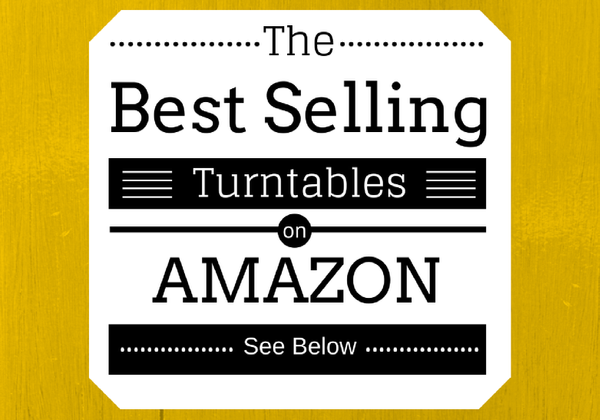 It can be difficult to find the best quality turntable with so many options out there. Thankfully for us, the vinyl renaissance is alive and well. More people are buying vinyl records today than they were back in the 1980s, a time where streaming and MP3s were not an option. Music fans are choosing to invest in a record collection and turntable for a few reasons. And that’s why, in this article, I’m going to discuss and recommend the best direct drive turntables under $200 on the market, so that you can have a great idea of what budget-friendly record player to buy. And to better help you with this, check out our interactive guide below, which contains a wide variety of popular direct drive (and a couple belt-drive) turntables on the market. Direct Drive Turntables in the Digital Age? Primarily, the physical experience of holding what you’re hearing is an artistic connection that can’t be found on Spotify or Apple Music. The aesthetic of a stack of records sitting in a living room or a turntable set-up beside a bed cannot be matched by a bluetooth speaker or sound system. Vinyl has proved to be timeless, or in a way, a wonderful reminder of a time where fidelity and album artwork reigned supreme. Best of all, it’s becoming more affordable to buy a high-performance table. At the turn of the 2000s, vinyl records began coming back into vogue as a countermovement to the digitization of music. The MP3 player, led by Apple’s iPod, was a force to be reckoned with, sending CD sales plummeting over the course of the 2000s. Digital music meant easier, more convenient access to music, but it also meant a drop in sound quality due to file compression. As quality began to diminish, a call in support of its importance grew, and vinyl began to enter the conversation once again. It’s worth noting that vinyl records were still being made and there were still a number of individuals who primarily listened on a turntable. 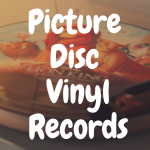 The generations that grew up with vinyl records weren’t quick to let them go, but the resurgence was peaking the interests of populations that never grew up with vinyl records. People like myself who were born at time where CDs and cassettes were the main forms of listening were drawn to the medium for the same reasons it was popular in the 20th century. Album artwork looked better printed to the 12” record than on a CD jewel case, and it felt better to hold the weight of a record than its polycarbonate counterpart. Throughout the vinyl resurgence, a specific design of turntable has been considered the most durable and accessible to newcomers and long-time vinyl fans: the direct-drive turntable. Direct-drive tables came to prominence in the wake of the turntablism movement, better known as scratching or more simply DJing. When DJ Kool Herc, one of the founding fathers of hip hop, first came to the United States, the styles of Jamaican dub style music were adapted to fit the technology and abilities of the Technics SL-1200. The “Tech 12” was a direct-drive turntable, meaning it did not utilize a belt to drive the table. A motor was used instead that sat directly on the turntable platter. Belts were often more susceptible to wear and tear, so the practice of scratching and chopping at records took quite a toll on belt-drive turntables. Touting a quartz-controlled motor system and magnetic direct drive mechanism, the Technics SL-1200 was durable, easy to use, and quickly became the unofficial turntable of the hip hop movement. Audiophiles also adopted the Technics SL-1200 for its variable pitch control that allowed for beat matching and heavy base that eliminated the threat of feedback, or worse, stylus jumping, which causes damage to vinyl records. With a reliable table, the immense amount of effort that goes into audio production can come through and fulfil every last auditory desire for a fan. To this day, you can still purchase brand new professional models of the SL-1200, but on average they will put you back $1200+. With those in mind, let’s get down to it. If experienced vinyl fans are reading this, they probably saw Crosley and panicked, furious that I would ever recommend a table from the often-discredited Crosley brand. The truth is, for the price, this table and many Crosley tables are great deals, especially for those just starting in the world of vinyl. The C200A is the company’s first direct drive turntable, ensuring speedy start times and little waiting. 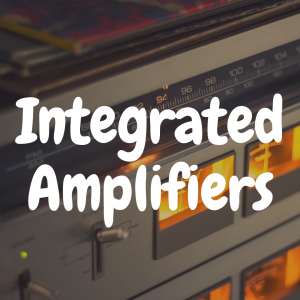 With a preamp built in, you don’t need to worry about picking one out, but if you already know you want one or maybe already picked one up, there’s still the option to use an external preamp. As most tables do, the C200A utilizes an Audio-Technica magnetic cartridge. Of course, if you’d like to add your own cartridge, you are able to, but unless you’re really married to another cartridge, I would recommend sticking with this exceptional set-up. The tonearm is a sleek S-shape, invoking feelings of the 1970s and 1980s, and with adjustable counterweights, you can balance your table the way that you want. The amount of customizability to this table is impressive, and you can truly discover your way with the C200A, but the great thing about this table is that out of the box, it plays wonderfully. The guide to the table can help you learn more about the different features, but for newcomers looking to just throw a record on and sit back, you have everything you need with the turntable as soon as it’s in your hands. The only thing missing, of course, are speakers. An RCA output is there for a quick plug-in, and that gives you a lot of room to choose which speakers you want to use. Almost all bookshelf-style speakers will work with an RCA output, even older configurations if you found a set-up for resale or maybe an old set from a family member or friend. The C200A plays at two speeds – 33 ⅓, which are your traditional 12 inch records, and 45, also known as singles, meaning smaller records with one or two songs on each side only. Specifications aside, this table plays the two most popular formats of vinyl records, and it looks great doing it. The table is a sleek black and silver, balancing comfortably between retro and modern. A clear, plastic case can close on top of the turntable while you listen, meaning you can protect your records while you’re using them and not have to worry about bumping the table and grinding scratches into you favorite albums. Verdict: The Crosley C200A is a great choice if you’re looking for ease of use and sleek design. The Crosley brand gets unwarranted hate from seasoned vinylheads, but for their first direct drive table, they knock it out of the park. If the Crosley 200A hinted at nostalgia for the past, the Roland TT-99 throws it a party. Roland has been in the game for over 40 years, and a lot of what they’re known for is actually outside of the vinyl world. Keyboards, synthesizers, amplifiers, and more have been buttering Roland’s bread for quite some time, but they also make a mean turntable. The design of the TT-99 is heavily influenced by the famous TR-909, Roland’s 1983 drum machine and first to include room for samples and MIDI. Commercially, the drum machine flopped, but it became a stylistic model for drum machines to come, as well as prove to be influential to electronic dance music, including the techno, house, and acid sub-genres. Producers or musicians familiar with the TR-909 will recognize the TT-99 immediately, but for those of use who aren’t, the aesthetic is visually appealing and feels very old-school. Just because Roland is known for their music equipment, this turntable is no afterthought. The direct-drive system in TT-99 is optimized for stable torque and includes a 909-themed slipmat. The white and orange meld nicely, and the die-cast aluminum platter partners with a brushless DC motor for speedy start-up times and seamless playback. The tone arm allows for weight adjustments, and if you need to stop a record suddenly for any reason, the turntable comes to a stop in less then a second with no threat or damage to the record you’re spinning. 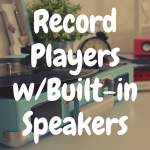 RCA hookups allow for a variety of speaker set ups, and a built in preamp means you can spend less money on added accessories and more money on records. Pitch-wise, the table is renowned for its spot-on playback. Unlike the Crosley C200A, the Roland table plays at three speeds, 33 ⅓, 45, and the now-dated 78 rpm popularized by original phonographs. 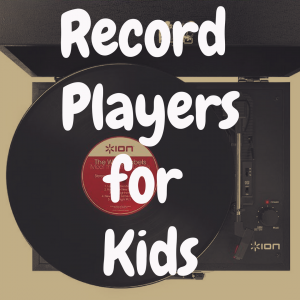 If you have older records from thrift stores or family members who collected back in the day, this table allows you to treat older records like a time machine and spin records from well over 50 years ago. A few websites will show a price tag of $349.99 for the TT-99 but that is far from what is consistently costing you for the turntable. Other sites price the table at $200 regularly, with sporadic sales pushing this wonderful piece below our threshold for the purposes of this article. Verdict: The Roland TT-99 is a great machine for lovers of vinyl and music history. With its retro design and ability to play 78s, this turntable brings alive the past with all the fixing of the present. A favorite among DJs, the Stanton T62 M2 has made a nice little home for itself in the direct drive turntable marketplace by perfecting an easy-to-use system that doesn’t lack quality. A straight tone arm allows for optimum scratching, but you don’t have to chop beats to enjoy this rig. For those of us that don’t scratch our records, and in fact may fear scratches altogether, the T62 M2 is equipped with a Stanton 300 cartridge with a sleek headshell made for the minimalist who still wants to pack a punch. The table is all black, not counting the white and blue Stanton logo that is, in my opinion, a little too present in the design. The table is sturdy, so you don’t have to worry about it falling apart, but it doesn’t have a plastic cover to keep your records cozy while you play them, leaving room for possible bumps to set it off track a bit. The Stanton T62 M2 is ideal for DJs because they’ve made it so easy to access the stop and start switches for mixing or battle setups. For those of us who aren’t interested in that, the table does have some other nice features. An RCA hookup allows for simple speaker connections, and the table does play at 33 ⅓ and 45 rpm. Like the Crosley, 78s won’t work on the T62 M2, but otherwise, more modern records play great on this machine. Stanton is known for quality tables for all sorts of vinyl heads and music fans, and the T62 M2 is no exception. If you think you might want to dabble in scratching and mixing, this is a great place to start when it comes to direct drive turntables. Verdict: The Stanton T62 M2 is great for DJs and mixing, but if that’s not your style, you can still get a great listening experience from this well known brand. If you’ve done your research, you’ll know that many seasoned vinyl heads will tell you that buying used is often a better choice than buying new. A few concepts feed into that theory. One, turntable technology was at the forefront of the music listening world in the 1970s and 1980s, meaning that some great tech was made during that time. Two, if you’re a fan of the retro aesthetic, it doesn’t get more retro than having an actual retro turntable in your setup. Lastly, people on eBay and all sorts of similar sites make a living off keeping old turntables fresh and working properly, and they’ve had decades experience fixing these tables, meaning that if the used aspect bothers you, you don’t have to worry about it falling apart two weeks after you get it home. Enter the Pioneer PL-510A. A budget turntable from 1976, the PL-510A ended up being one of the company’s most popular tables in the United States, as well as Japan, where it was known as the PL-1150. A hall-effect motor allows for magnetic sensors to kick start this machine up quickly, and it thrives on durability, which should be obvious since the table was originally conceptualized 42 years ago. An espresso brown base makes way for a silver-on-black platter in what I think is one of the best looking tables from the late 70s. Very fine adjustments are available on tone arm that allow for a perfect setup the motor is so quiet that very little audio rumble exists, meaning a clear and crisp sound that’s hard to buy with the most modern turntables. The only word of caution I’ll give refers to this table and our last in the list: do your research when buying used. Make sure everything is in working condition, and don’t hesitate to ask sellers online for videos of working turntables. When you manage to find a Pioneer PL-510A that works, you’ll be happy you went used, and have a great time owning a piece of history. Verdict: Buying used is a great option in the turntable world, and the Pioneer-PL510A is a great way to save a little money and get a great turntable. In the beginning of this article I mentioned that the Technics SL-1200 was the direct drive turntable at the top of the food chain. For a long time, and even today, Technics was the company for audiophiles looking for the best tech for their at-home setup. Like the previous recommendation, this one also comes from the past, meaning that the price point listed above is for used turntables. Again, you can’t beat some of the great tables of the past, so why not pick one up today and enjoy the throwback feeling of vinyl’s hayday? To end our recommendations, we have the Technics SL-D2. The SL-D2 has auto return and auto stop, two features that are common in more expensive tables being made today, but you can have both of these fun add ons for under $200 if you pick up this Technics table from 1980. Ironically, it retailed for about $200 when it was released, and was seen as a great bang for your buck. Since its production, the table has had issues with pitch and speed, but if you take the time to thoroughly clean the potentiometer, troubles will cease. Despite being a popular and widely-owned table, it is a high quality piece of tech, and if taken care of, it can last for decades. Aftermarket parts like cartridges, feet, or dampening give it an even bigger boost of sound, so if you’re finding a slight vibration or just a little bit of haze in the sound, a few add ons can make this your dream rig. The all-silver table looks futuristic and a little retro, so no matter what look you’re going for, the SL-D2 is a great fit. Verdict: If it ain’t broke, don’t fix it. 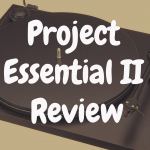 A lot of people over the years have owned a Technics SL-D2, and there’s a reason for that. It’s reliable, affordable, and a wonderful way to get into direct drive turntables. Direct drive turntables start up fast, sound great, and often allow for more customizability and creative freedom. These tables under $200 are a great way to get your feet wet in the direct drive world, and each table has different features to fit your needs. The best audio turntable for you doesn’t have to break the bank, and all of these options will sound like you spent three times the cash on your new turntable. 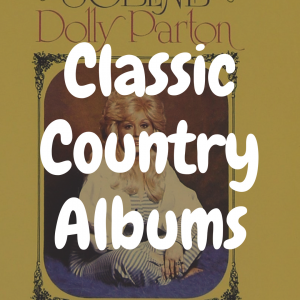 If you enjoyed reading this article, please “like” our Devoted to Vinyl Facebook page!